Rockiness and slope grade factor into landing safety and are also important in determining whether InSight can succeed in its mission after landing. 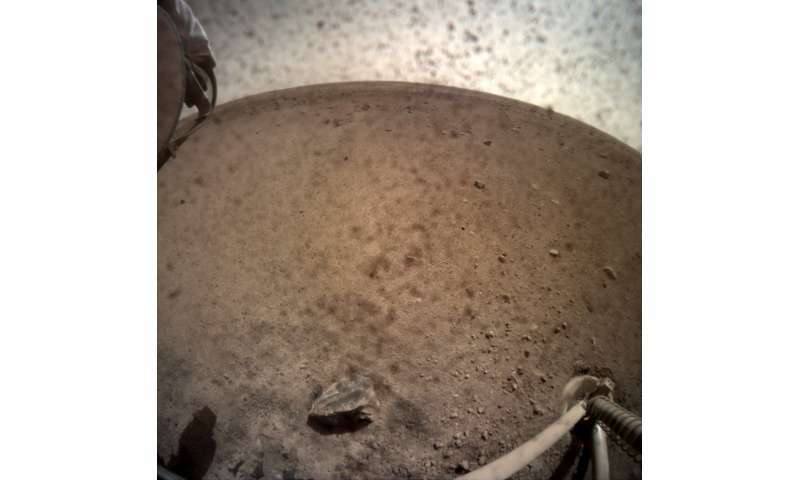 Rocks and slopes could affect InSight's ability to place its heat-flow probe—also known as "the mole," or HP3—and ultra-sensitive seismometer, known as SEIS, on the surface of Mars. "We are looking forward to higher-definition pictures to confirm this preliminary assessment," said JPL's Bruce Banerdt, principal investigator of InSight. "If these few images—with resolution-reducing dust covers on—are accurate, it bodes well for both instrument deployment and the mole penetration of our subsurface heat-flow experiment." Launched from Vandenberg Air Force Base in California May 5, InSight will operate on the surface for one Martian year, plus 40 Martian days, or sols—the equivalent of nearly two Earth years. InSight will study the deep interior of Mars to learn how all celestial bodies with rocky surfaces, including Earth and the Moon, formed. Reading about all the dire situations that might have occurred but did not, feels like reading last weeks news. man... there seems to be one hell of an outbreak of herpes!